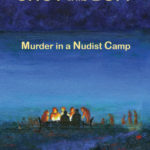 Currently viewing the category: "Ask the Patients"
Like the main character in this book, long-term Orchard Health Care member Joan Dash spent much of her childhood in a nudist camp. She went on to get a master’s and Ph.D. at Harvard where she studied soil microbiology. Today, she and her husband use the ground penetration techniques described in this book, helping archaeologists decide where to dig. One of Dr. Kanner’s patients describes her most trying experience with johnnies and invites others to share their experiences, as well as to reflect on the origin and name of the diabolical gown.